Now in it’s 16th year… this fest of games, competitions, music, food and so much more is a feast for all the senses! 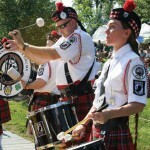 A true celebration of Celtic culture, past and present, can be found on the grounds of the Mt Hope Estate & Winery in just a few short weeks. Presenting 15 musical groups to entertain you, two groups will be on hand for Friday night’s concert..from traditional pipe bands to modern Celtic rock there surely will be something to satisfy all musical tastes…and speaking of tastes! At least 22 food and beverage vendors will be on hand to serve up some wonderful treats for the discerning Celt appetite..sample Scotch eggs, Boxty, corned beef & smoked cabbage and even the unjustly maligned haggis. Along with fun competitions for all members of the family, are the Sanctioned Highland Games…tests of true strength. If clans and societies are more to your liking, you will have the opportunity to look over lists brought by many of the societies represented at the Fling.